The author of this book is the sister of my cousin Mike's wife Delly, so I am very excited to read it! 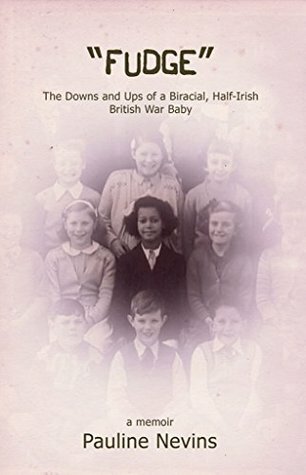 Fudge is a memoir written by Pauline Nevins who was a Biracial, Half-Irish British War Baby. I connected with this memoir on so many levels (Raising 4 beautiful Biracial children for one) and reading this book has given me the inspiration and courage to start writing me own memoir about growing up with my own amazing mother. Thank you Pauline Nevins for sharing your story! A fascinating tour through Pauline's life adventures--the good, the bad, and the ugly--wonderful glimpse into parts of the UK I've not seen before.